Sarah, a former Middlesex student, manages the National Survivor User Network (NSUN) a user-led mental health network. Sarah Yiannoullou, a specialist in mental health has been awarded an honorary degree at our graduation ceremony on 12 July. Between 1986 and 1989 Sarah studied Graphic Design and Art Therapy at Middlesex University and credits this experience as a solid foundation in working in mental health. “Although it seems a complete career departure, I believe my creative training and background has enabled me to work in different ways and explore more inclusive approaches. Sarah, from Leytonstone east London, is currently the Managing Director of the National Survivor User Network (NSUN). The organisation is a user-led mental health network that connects individuals and groups and promotes self-management to improve experiences of mental health support. With over 25 years’ of experience of rights-based work behind her, Sarah has continually lobbied for the direct voice of experience to be heard at every level of policy planning and implementation. 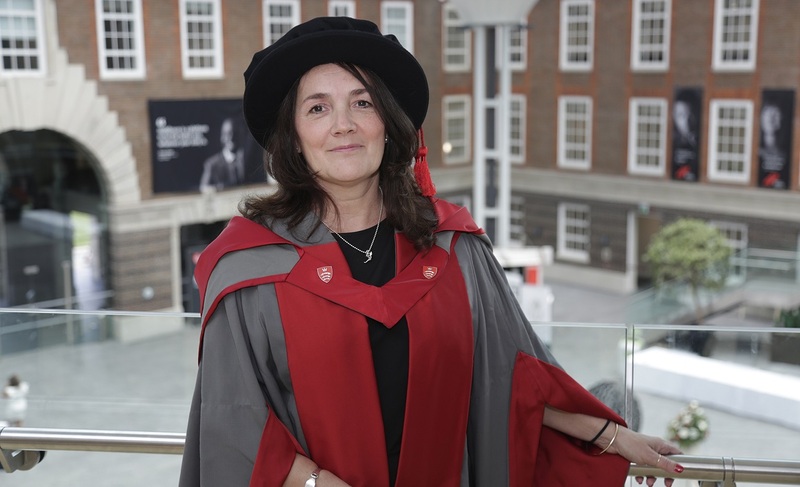 Commenting on Sarah’s Honorary Doctorate, Professor Tim Blackman, Vice-Chancellor of Middlesex University, was very happy to welcome Sarah back to the University.